PROJECT: The Co-operative Group Headquarters, 1 Angel Square, Manchester BAM Construction designed and built an extremely sustainable new headquarters for the Co-operative in Manchester. 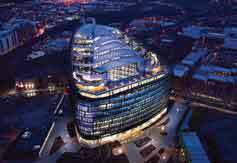 The building achieved a BREEAM Outstanding rating with the highest score ever attained. 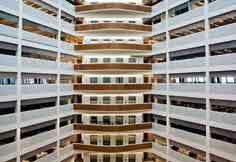 The 16-storey building contains 325,000 sq ft of open plan office space and a large central atrium. Two basement floors include underground car parking, auditorium and fitness facilities. 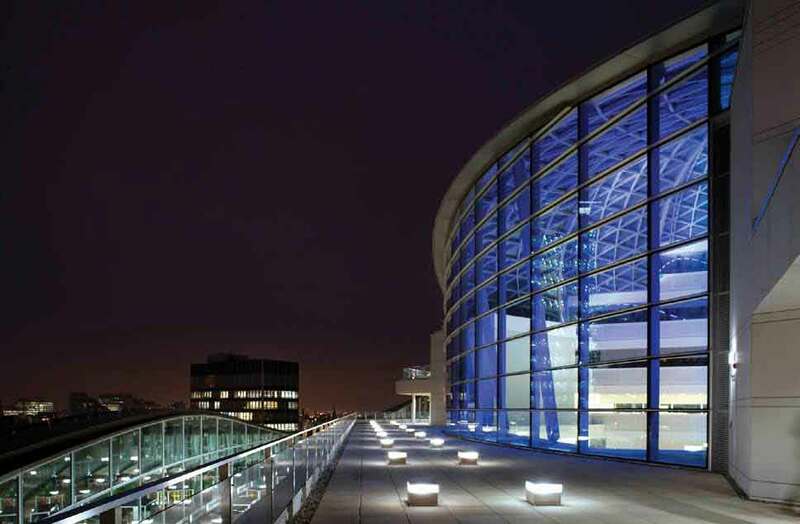 The internal layout allows flexible use of the space and state-of-the-art technology. An integrated energy system promotes renewable energy. CHP units can run on pure plant oil harvested and refined from Co-operative farms. A sustainable drainage system stores and recycles water as needed. BAM also created four and a half acres of public open space. 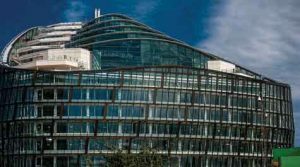 CONTRACT: Window blinds, window film & manifestation film Contract Blinds were commissioned by BAM Construction for the manufacture and installation of over 1,500 window blinds on the project at 1 Angel Square, Manchester. In addition window films and window manifestations were also implemented by Contract Blinds.